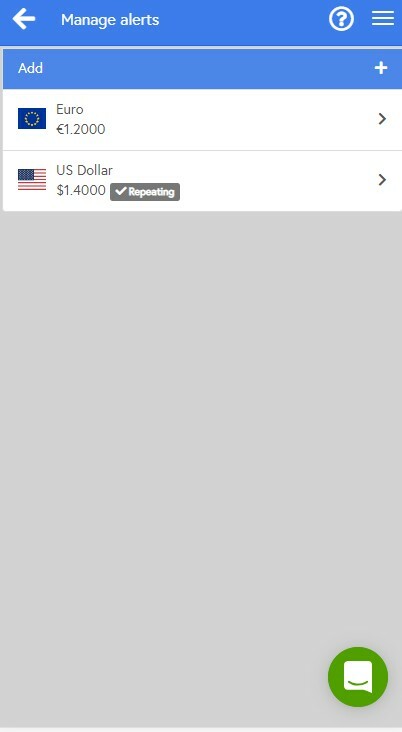 From the menu at the top right, select the "Toolkit" option and then "Rate Alerts". This will show your existing alerts and allow you to add new ones. 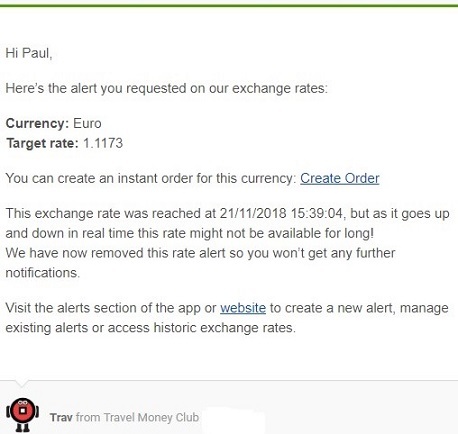 Adding a new alert is as simple as selecting your currency and setting the target exchange rate. We'll automatically delete the alert once it executes unless you check the "repeat alert" box. 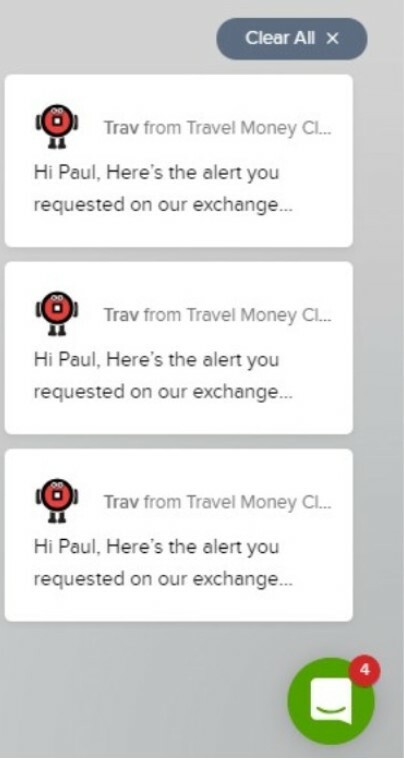 You can have as many alerts in each currency as you want, but only one repeating alert in each currency. 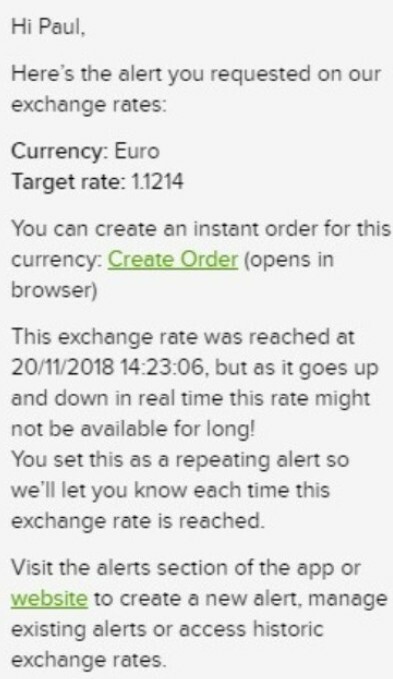 If your target exchange rate is reached or passed (that means GBP must be increasing in value not decreasing), we'll automatically send you a notification both "in-app" and via email. 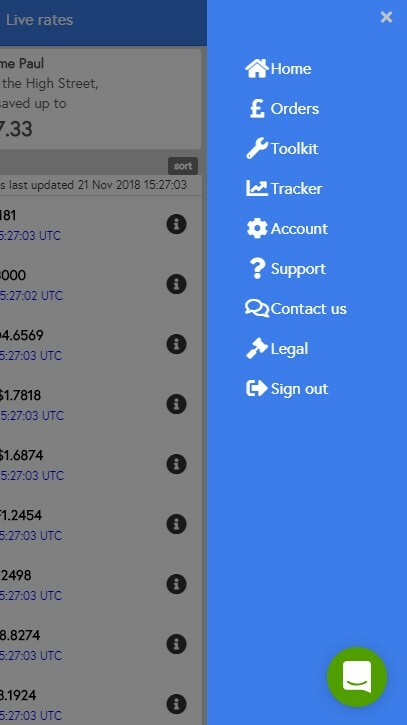 We'll confirm the date and time the target rate was reached, and you can create an instant order straight from the notification. 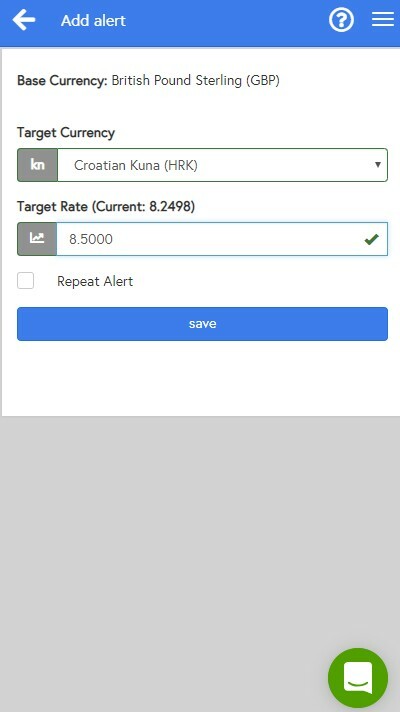 But remember that rates change in near real-time, so your target rate may not be available by the time you react to the notification. The only way to be sure to buy at the target rate is to create a forward order.